Some mysteries remain unsolved for a reason, whether it’s lack of credible information or too much reliance on tall tales, but Lost Gold of World War II attempts to unearth Yamashita’s Treasure 70 years after being buried, based on credible information from an eyewitness. After watching the series premiere, “Death on the Mountain,” this show feels different from all the other reality shows airing on History. Part Expedition Unknown, part Brad Meltzer’s Lost History, this show is very much in the vein of The Curse of Oak Island, but Lost Gold has a little more going for it. Primarily based on Luzon Island in the Philippines, the stage is set on an exotic location. Gold, ancient artifacts and other riches were looted by the Japanese in Southeast Asia during WWII. In 1945, after the U.S. blocked General Yamashita’s return to Japan, he allegedly buried all of the treasure in the Philippines. After the war ended, he was tried in court and quickly executed, taking his buried secret to the grave. 70 years later, two treasure hunters have partnered up to explore the rumored 175 treasure sites scattered throughout the Philippines. Peter Struzzieri (with 50 years of hunting treasures under his belt) and John Casey are the Team Leaders for this project, along with a team of four investigators to discover the truth. A local eyewitness was forced to assist the Japanese when he was young, and though a little vague on everything he actually knows, “Grandpa” has agreed to help this group of Americans, who are followed by a camera crew. Lost Gold is more than just chasing urban legends in the jungle. Brad Carr and Jeremy McMillian (Heavy Equipment Operators), Manny Paez (Team Medic) and Martin Flagg (Symbols and Codes Expert) round out the team looking for buried treasure. Added is the danger factor, as General Yamashita unleashed a series of dynamite blasts to seal up the treasure vaults, killing many engineers and prisoners of war in the process, effectively hiding the treasure under a mountain once it was hidden, covering up practically all of the evidence. Did I mention there’s also booby traps of toxic gas that were laid, in order to prevent anyone from claiming his loot? That’s one of the main hooks in the pilot, which features a previous hole (Breach 6) dug by past treasure hunters looking for a tunnel, that was abandoned. All previous hunters supposedly got sick, possibly by the poison left behind by the Japanese. Talk about layers of intrigue. 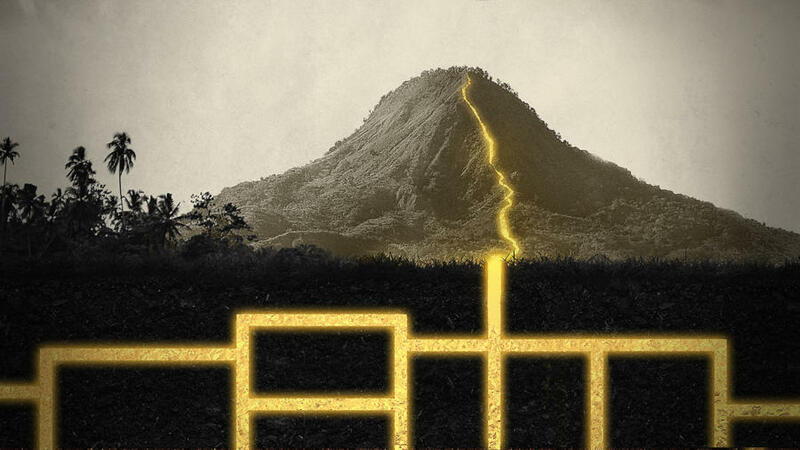 In the episode, strange symbols are discovered carved into various rocks, supposedly left behind for The Golden Lily, a secret society of Japanese royalty which may have originally claimed the treasures. Using modern technology, the crew discovers a possible broken canister of cyanide at the bottom of the 25-foot hole, so they hop into their heavy machinery in order to ventilate any possible contaminated gas. I’ll go ahead and admit it: I’m a sucker for buried treasures and hidden truths. The reason I enjoy Oak Island so much is to see the thinking process and recovery process of uncovering the unknown. The Curse of Civil War Gold, Treasure Quest: Snake Island and Legend of the Superstition Mountains have all been interesting for a variety of reasons, but this exotic location with decades of overgrowth has got me hooked. And apparently, the U.S. government was somehow involved in searching for the remains of what could be worth billions or even trillions of dollars of gold and invaluable treasures at some point, so these conspiracy theories actually stoke my willingness to subscribe to watch Season 1 in its entirety. It seems the best TV shows that air on History are those that tend to combine conspiracy theories, historic facts and sometimes buried treasure. I’m hoping this one won’t let me down.